Every photographer has an individual look that sets them apart from other artists. At Susan White Photography, the final product reflects every little step, from our first contact with you, until you receive your finished portraits. What is the first step if I want to book an appointment? If you are interested in booking an appointment with our studio, the first thing you need to do is call our studio or email us from this website, [ see Contact Us ] letting us know of your interest. We will then call you back to chat with you about what you have in mind and schedule a Design Consultation with Susan. The Design Consultation is a 30 minute complimentary appointment with Susan in our studio where we sit down with you and discuss the details of your personal portrait session. We will talk about who will be photographed, clothing, locations, what you're looking for in portraits and so much more. We will show you more of our work and will share with you the unique way we do things at our studio to give you an idea about the experience you can expect when working with us. We love what we do and take very seriously the responsibility of capturing and creating timeless portraits that our clients will love and cherish forever! Which is why we invest the extra time it takes to make sure we and our clients have the same vision from the beginning of the process. During your consultation, we will set up two appointments - your portrait session and your Presentation/Order session. 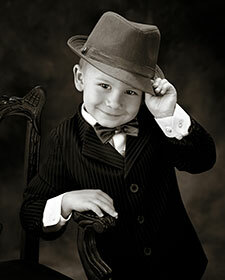 Within a week or so of your session you will be coming back to the studio for a viewing of your portraits. During this time you will watch your images unfold to music on a cinema screen. Susan will assist you image by image to make portrait selections for your home and loved ones. Please do not bring children to this session and plan up to 2 hours time to make your decisions. Please make sure that all decision-makers are present at this time and be familiar with the spaces in which you might hang portrait(s) so that we can assist you in making great selections at this time. If needed, additional Presentation/Order sessions can be scheduled for an additional fee. A deposit of half the total amount is due at this time and is non-refundable. The remainder of your balance is not due until the time your portraits are ready for pick up. The reason clients love our work is due to the care we put into each image during AND after the photo session. Clients will usually view 25-50 images. Our aim is for quality not quantity. Over the years, we have discovered that when we show too many images, clients become overwhelmed because they WANT THEM ALL! However, Susan will help you narrow it down to the very best ones and help you decide the best way to display and enjoy your beautiful portraits. We placed our order - When will our portraits be ready? We ask that you allow 6-8 weeks [depending on the time of year] for your portraits to be ready from the moment you place your order. We understand that our clients are excited about getting their portraits, but it is important not to rush this process. Remember, quality takes time! Do you offer framing and other products? Most of our clients frame their portraits with us. We have several different styles from which to choose and we will help you decide what style looks best with your portraits, for your home and office. We also offer Custom Albums and Coffee Table books. These are VERY popular! Because we are a low-volume, custom studio offering fine art portraiture of children, families, high school seniors, business professionals and pets, and because the work we do is generally time-intensive, that limits the number of clients we can serve in a year. We are normally booked weeks, sometimes months in advance so it is recommended that you call and schedule your appointment as soon as you decide you want to schedule an appointment with us. However, occasionally there are earlier openings that become available, so don't hesitate to give us a call. If we are booked for several weeks when you call, and you want to get in sooner, we will put you on the waiting list in case someone cancels or reschedules.